Sebastian Vettel (4th): "I'm not happy with that final lap, I was pushing a bit too hard and didn't get it all together, so I'm not entirely happy, but it is what it is now. I think pole could have been in our grasp. We'll hope to have a good race tomorrow, with good pit stops and a good strategy and we'll see what we can do from there. I think we have good speed, but everyone seems to have good speed here. It's a long race, so we'll see how the tyres work and what we can do." Daniel Ricciardo (3rd): "Coming into the weekend we thought that if we could be within two or three tenths of Mercedes then there was a realistic chance to stay with them in the race. We actually ended up closer to them than we thought in qualifying, so that's good. If the start goes okay then it's about trying to be smart and doing something with the strategy. If I can get close, then I'll have a go, I haven't been shy doing that this year, but it's difficult on a street circuit. It's close to home here and it's nice to see a few Aussie flags in the crowd. 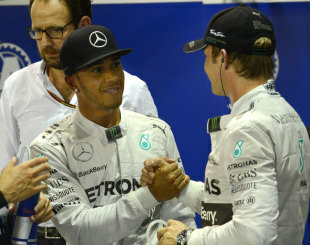 Hopefully we can get a podium result for them tomorrow." 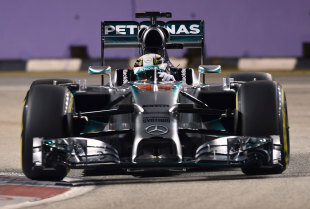 Lewis Hamilton (1st): "That was one of the most exciting qualifying sessions I can remember. I lost a lot of time at the beginning of my last lap and at that point I thought pole was lost. But I just kept going and managed to pull some time back. As a driver, through the weekend you plan to have the last lap in qualifying as your best. By that time the track has improved and you should have the settings as close to their optimum as they're going to get. But there was so much happening out there and I was just trying not to look at what was going on around me. I was surprised by how close everyone was - the Red Bulls and Ferraris looked quick all day - and it was really fun to be a part of that session. "The team have done a fantastic job to bring the car here, to a circuit where downforce is so important, and be at the front once again, so a big thank you to them. It's going to be a tough race tomorrow. Coming into the weekend we had an opinion about how the tyres would behave, but the long runs yesterday changed all that. Trying to manage them will be a big challenge but hopefully it will be an entertaining one for the fans. I'm on the clean side of the track so I'm hoping for a clean start and a strong race." "I directly reviewed my lap and thought there were so many places to gain seven thousandths of a second - especially in the last corner. But in the end he did seven thousandths of a better job today, so fair play to him. P2 is still good for tomorrow's race and I'm focused on having a good start. Last year I overtook Sebastian at Turn One, so it's definitely possible to win from here. It's going to be all about managing the tyres and I learned some good lessons in my long runs yesterday, so I hope it will be an exciting race for the fans." Toto Wolff, Executive Director (Business) "That qualifying session was great to watch and a strong advert for Formula One. From our point of view, it's clear that we don't enjoy the advantage here that we have had on previous weekends. But this is a unique circuit and to produce a car which can be fast at every venue on the calendar is a big task, so we must be very pleased with a 1-2 front-row lockout. Our performance this weekend so far hasn't been totally consistent and that is what we will need tomorrow evening. But the demands of racing are different to those of a single lap. I'm optimistic that we are capable of performing well when it comes to managing the energy levels, the fuel and the brakes in the race. So, a good job today but still a lot to do tomorrow." Paddy Lowe, Executive Director (Technical): "We came to Singapore expecting drama and that's exactly what we got - and it's not even Sunday yet! It's great to have locked out the front row after a very tense session. It was all about putting a lap together with the tyres in the right condition and we weren't managing to do that consistently during the session. It all came down to the final laps - with Lewis and Nico in P6 and P7 respectively - and they each delivered phenomenal performances. Well done to both of them. Looking to tomorrow, we know there are still many challenges to overcome. We need to get through the first corner cleanly, make the right calls in the race and history has shown that a Safety Car period is almost inevitable at some point. There is still a very long way to go - but we're starting from the best possible positions." Fernando Alonso (5th): "If you had told me yesterday that we would still be competitive in qualifying, probably I wouldn't have believed it. And in fact this fifth place is a bit different to usual, because the gap to pole is really small. This weekend, I've felt comfortable right from the first session and probably much of that is down to the characteristics of the track. It's impossible to compare it to other races, because this one and Monaco are a law unto themselves. But definitely, we have made a step forward since the start of the season and I'm sure the car will continue to improve right the way to the end. Tomorrow's race will be long and very demanding from a mechanical point of view. 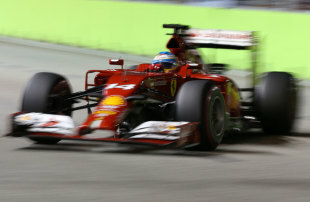 Reliability will play a key role as will tyre management, which could make a big difference." 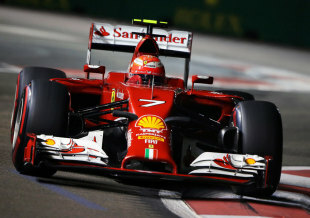 Kimi Raikkonen (7th): "I'm very happy with the handling of my car. Yesterday, we made some changes to the set-up and in qualifying, I finally managed to drive the way I wanted. Unfortunately, in Q3, on my final run on new super-soft tyres, a problem forced me to pit. It's a real shame as I felt comfortable in the car and we had the potential to get a good result. Now I want to feel confident for the race and I hope the team manages to solve the problem without too much difficulty. Tomorrow, we will do our best to bring home as many points as possible, aware that we are going in the right direction." Pat Fry: "I'm very happy with the handling of my car. Yesterday, we made some changes to the set-up and in qualifying, I finally managed to drive the way I wanted. Unfortunately, in Q3, on my final run on new super-soft tyres, a problem forced me to pit. It's a real shame as I felt comfortable in the car and we had the potential to get a good result. Now I want to feel confident for the race and I hope the team manages to solve the problem without too much difficulty. Tomorrow, we will do our best to bring home as many points as possible, aware that we are going in the right direction." Romain Grosjean (16th): "We could have gotten up to P13 in qualifying today, the car was looking good and the team has been working very hard all weekend. I'm happy as I can be with the E22 so it's frustrating to have had an issue on the power side, which cost me a lot of time. Everything can happen in the race so we will have to go for it." Pastor Maldonado (18th): "Unfortunately we had some problems which meant we weren't able to finish our qualifying lap with full power, and that penalised us a bit too much in the last sector. We are normally more competitive with race pace and we expect that here. We also have a lot of new tyres which we can play on strategy-wise. It's a long race, the delta between all the cars is closer and that gives a good possibility to do well." Kevin Magnussen (9th): "We got the most out of what we had today - which is worth underlining - and to make it into Q3 still feels pretty decent, but we're not fast enough. We need to keep pushing to develop the car.I don't think there was much more I could have done: we're not quick enough here, so hopefully tomorrow there'll be some well-timed Safety Cars and a couple of opportune retirements to help us move up the order. "We'll do our best tomorrow, as usual, and I'll be pushing as hard as I can. I'm a racer - so, if I see an opportunity to move forward by taking a few chances, then why not? We don't have much to lose, so we might as well try to maximise what's available to us. I'll be doing everything I can in the race - nothing less. Hopefully, we'll get some useful points. 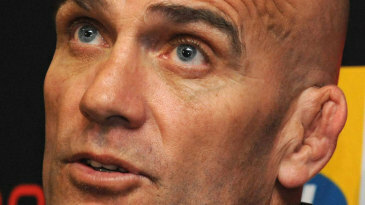 It's frustrating, because we're doing well, but we're still not quick enough." Jenson Button (11th): "Not making the cut into Q3 is disappointing, especially considering the strong progress we'd made during Q1. On my final, critical run in Q2, I lost quite a lot of time at the hairpin - I locked up the fronts and ran wide - and I dropped a couple of tenths. After that it was always going to be very close - but, even if I'd got through to the top 10, I think it would have been difficult to make much further progress up the Q3 order. "To explain things further, during Q1 I'd already dialled the front wing settings up to their maximum, and, as the circuit gripped-up into Q2, I struggled because I didn't have enough front-end [grip]. I did everything I could to compensate, by using the differential and engine braking, but it wasn't quite enough." "I haven't looked too deeply at the strategy for tomorrow yet, but hopefully the ability to choose our starting tyre will help us make some progress." Eric Boullier, racing director: "Clearly, P9 and P11 is nothing to write home about, and we're far from satisfied. However, Kevin's Q3 lap was just 0.569s off Lewis's [Hamilton] pole, and, while that isn't what we came to Singapore to achieve, it shows that we're continuing to improve our car in terms of performance relative to the very fastest cars. "Unfortunately, Jenson ran wide at the hairpin on what would have been a strong Q2 lap, losing two-tenths in the process, and consequently failed to get through to P3 by the very narrowest of margins. Nonetheless, we all know what a wily driver he is, and he'll be aiming to score points tomorrow, mark my words. Kevin got absolutely everything out of the car today, and, had the Q3 lap-times not been so unusually close, he would have achieved a better result than the P9 grid slot his efforts in fact earned. But he'll be driving his usual fast and forceful race in an effort to move up the field and achieve as good a result as he possibly can." Nico Hulkenberg (13th): "The qualifying hour in Singapore is always intense and stressful, but I was hoping to be a bit more competitive and squeeze into the top ten. As it turned out, a place in Q3 was a few tenths away, but my lap was pretty good. I feel quite positive about the race because I have a free choice on tyres for the start and Singapore is always a long and eventful race. There are a few strategy options because yesterday we saw a lot of tyre degradation on both the compounds. The target is to come away with points tomorrow." Sergio Perez (15th): "The track felt very different today and we were not expecting such a dramatic change coming into qualifying. As the session went on, we struggled to get the tyres to work in the way we wanted. We headed out early in Q2 to try and get a clean out lap and prepare the tyres, but obviously we knew this would give away something in terms of performance with the track evolution. Even with these choices, we weren't able to make the progress we wanted. Looking at the race we know that overtaking on this circuit is quite difficult, but with a good start and a strong strategy we can make up some places. This track is very harsh in terms of tyre degradation and I expect it to play a big part tomorrow. It will be a battle to get some good points, but on a track like this everything is possible." Vijay Mallya, team principal and managing director: "We were expecting to be a little higher up the grid today. Our starting positions tomorrow mean we will need to work a bit harder to score the points we need. However, I feel quite positive about our long run pace, which should allow us to race competitively. Singapore usually throws up opportunities to explore different strategies and we enjoy racing in the heat. We need to be ready to maximise the opportunities that come up in the race with the goal of getting both cars in the points." Esteban Gutiérrez (14th): "I am pleased with the outcome of today. In qualifying we were able to extract more than we expected. We made the best out of what we currently have. Tomorrow it will not be an easy race, but at the same time we will keep fighting to extract the maximum out of the car. We will keep working hard and focusing on the race." 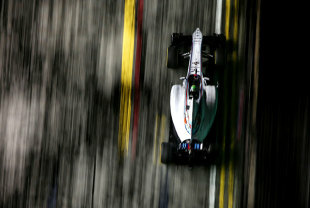 Adrian Sutil (17th): "It is a pity that qualifying was not as good as we expected. But on the other hand, we have had issues with the power unit and the energy management since yesterday. Because of this, we were not able to extract full power during qualifying, which cost me a lot of time on the straights. More than Q1 was unfortunately not possible under these circumstances. We have to get together and find a solution for the race tomorrow." Monisha Kaltenborn, team principal: "During the whole weekend we have had issues with the energy management, which didn't help us at all. 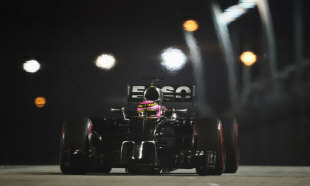 However, Esteban was able to constantly improve and showed a good performance. He is in a good position for the race. Adrian could not extract the maximum from the powertrain and was, therefore, handicapped. The past has shown that a lot can happen during the race, thus our objective is to keep the contact to the drivers in front of us and be ready for all eventualities." 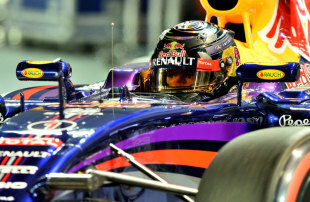 Jean-Eric Vergne (12th): "I had some problems with the front hand of the car today. I just could not make it work and bring it up to the right temperature, which caused me some front locking. Then I made a mistake and I lost more than three tenths. Q3 was not far so it's a real shame. 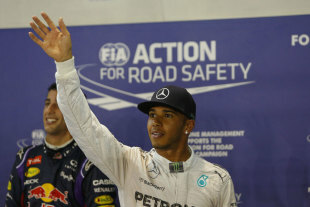 But it's tomorrow that counts and we have got a competitive car here to gain some positions back and score some points." Daniil Kvyat (10th): "I think we definitely got the maximum out of the car today, so well done to the team. Q3 was a bit scrappy and throughout the session the car was difficult to drive. But fortunately we managed to pull it all together and complete a good lap in Q2 and move on to Q3. P10 was the best possible result today. We still have some homework to do tonight to make sure the car feels more consistent tomorrow, but for today we did what we could." James Key, technical director: "We had a bit of work to do last night. I think we made some good progress during FP3 with Jev's car. Daniil wasn't completely happy with his car so we made some changes for Qualifying. Our target was to get both cars into Q3. It's never easy here, it's a complicated track, where you have to be one hundred per cent positioned the whole time. Unfortunately Jev just missed his second sector of his Q2 and got very close to Q3. I think it's a shame as he deserved it. Daniil got through in his first lap and then in Q3, again in the middle sector, it was a bit tricky for him. Overall it's a bit disappointing that we didn't manage to bring both cars into Q3 but the race is tomorrow and I'm convinced that we can still fight for some points." Valtteri Bottas (8th): "We made strong improvements from yesterday's practice sessions to FP3, and we did this again going into qualifying. The mechanical set-up of the car has improved as the weekend has progressed and we have done a good job in getting the tyres into the right temperature window which we struggled with yesterday. My out-lap on my final run in Q3 was a little compromised, and I made a mistake in Turn One, so given how tight it was I could have gained more places but we need to be satisfied with where we are. We know we have the pace to fight with the cars around us so tomorrow should be an exciting race." Felipe Massa (6th): "This has been a promising qualifying for us because we have made big improvements compared to yesterday and we are in the mix with the teams around us in the championship. Top four may have been possible, especially considering how tight it is, but sixth is a solid result. What is really encouraging is that we identified the problem we had yesterday and the changes we made improved the car as we expected so a really good job by the team. Tomorrow will be tough. This is the longest race of the season, the conditions are challenging, and there can be safety cars so our first thought is to get both cars home in the points." Rob Smedley, Head of Vehicle Performance: "I've just realised if you re-arrange Fernando Alonso it spells God. On balance we should be pleased with that performance. We are just over three tenths off of the pole sitter and amongst our closest Championship competitors, despite the fact that this is a track that doesn't particularly suit our car. This is what we were aiming for before we got here so we have successfully completed the first part of the job. We showed good long run pace on Friday so we are in a strong position to come away from this race with a decent number of points." Max Chilton (21st): "It's slightly frustrating as I have struggled with car this weekend at a constantly evolving track but I managed to get it pretty good for that session. On the first run we had an issue with the mapping, which meant that I was in a compromised map and I couldn't get full power, so I had to do another prepare lap. My second run was my first real timed run. I thought it was a good lap but the time wasn't there so we need to look at that this evening. Looking ahead to tomorrow, I think we can get Kobayashi off the start and then it will all be down to strategy." Jules Bianchi (19th): "I'm pretty pleased with my second lap and I feel like I got as much as possible from the car. I made a few mistakes on the first run but we did the maximum possible at the end. For tomorrow, I think we will have the right balance for the race. My first objective is to keep the three cars behind me, then see what is happening ahead and the opportunities that may be available to us." John Booth, Team Principal: "Overall a good qualifying session, in particular on Jules' side of the garage with a strong result versus our nearest competitors. The day has not been without its troubles and some issues on Max's car at the start of his qualifying run surely disturbed his rhythm and unfortunately with his car we find ourselves between the two Caterhams. In FP3 and pretty much throughout the weekend so far, the car does seem to have been stronger than where it was in Monza and, of course, we would have preferred having both cars together on the grid. As always here, there is the potential for tomorrow's race to be a chaotic one. The objective with both cars is to be in front of our Championship competitors and then take advantage of any chances that comes our way." Kamui Kobayashi (20th): "We did our homework and we improved the car for today. The track wasn't in the best of conditions for FP3 so it didn't show in the lap times, but performance-wise we are better than yesterday. I got the most out of the car during the qualifying session and our result was the best we could achieve tonight. Tomorrow is going to be a long and challenging race so I need to make sure I sleep well and come back tomorrow ready to fight through the streets of Singapore!" Marcus Ericsson (22nd): "It's been a tough day. In FP3 this afternoon we had some electrical issues and no telemetry, so it was a challenging start and a big stress for the team in between sessions, but in the end we were able to get out into Q1. I have to thank the team for their efforts to get me out in time to set a lap time but I'm disappointed with the overall result as we could've done better today if it hadn't been for the technical problems. It was a compromised qualifying session, which is a shame, but it certainly was a great recovery and I look forward to the race tomorrow - it will be challenging but fun." Paul Hembery, motorsport director: "We saw the closest qualifying session of the year, and a lot of that was down to the two-second gap between the compounds, which has actually come down a bit compared to free practice yesterday. Because of that time difference, there was a strategic element right from the start of qualifying, with all the drivers having to use the supersoft even in Q1. The battle for pole was extremely exciting, with a number of drivers in contention for the top spot, which is great for the sport. We're expecting a three-stopper to be the quickest strategy, but with the time gap between the compounds slightly reduced now, all it takes is the right pace management or a safety car at the right time to make a two-stopper work."